Work in Progress, and Important Things I have learned….. 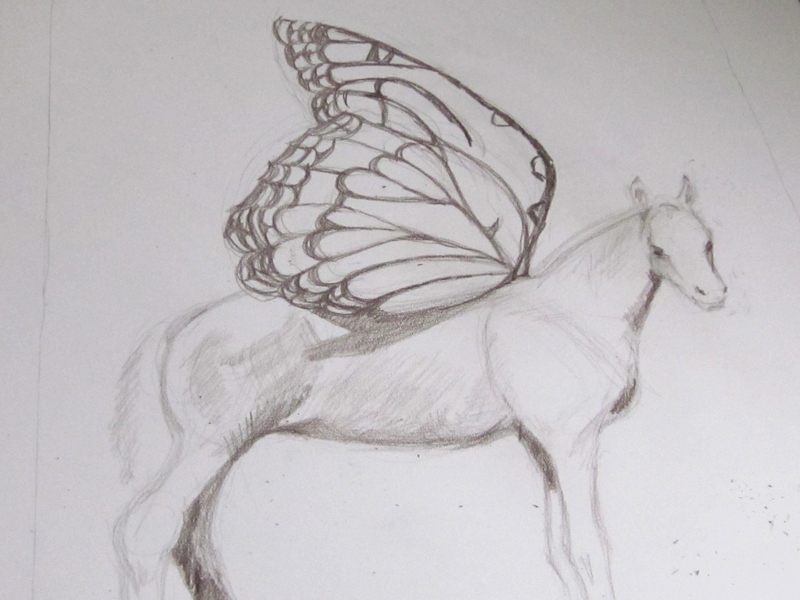 Working on the winged horse….here’s where it stands now. 2. Butterfly wings are boring to draw. 3. Never work on a drawing when you think you might still have cake on the side of your hand. Fortunately, the cake is chocolate, which goes with the color scheme…..I think I can fit it in.